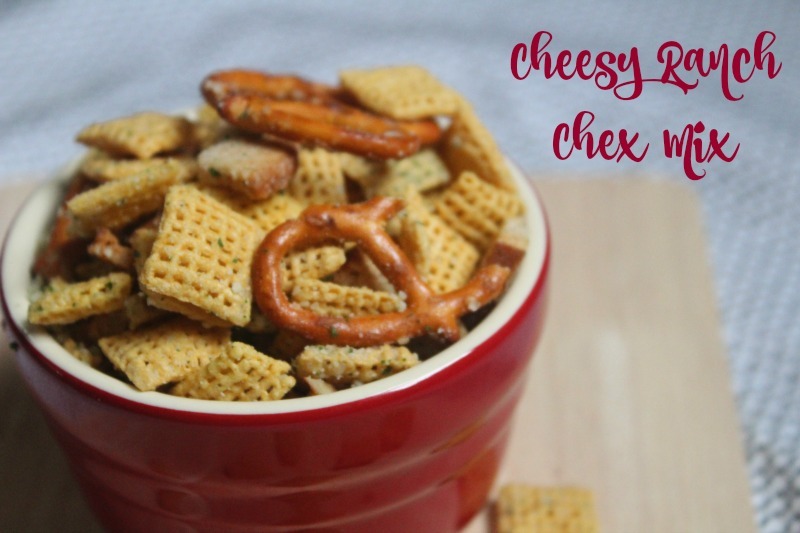 Cheesy Ranch Chex Mix--the perfect crunchy, savory snack! 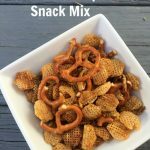 This Chex Snack Mix is easy to make, whips up in minutes and stays good for days if you put it in a sealed bag…not that it ever lasts that long! 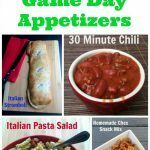 Related Post: Appetizers: Fast, Easy and Yummy too! With my kids busy extracurricular schedule, family time is something that we take very seriously. 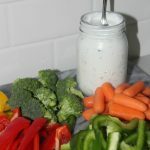 My girls really like to spend time in the kitchen with me so I always try and have the ingredients for easy snacks and meals on hand for them to whip up. 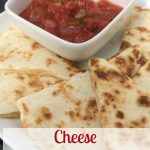 It is a family favorite! 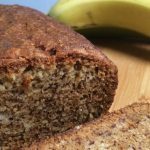 You might want to double this recipe, it is sure to go quickly! 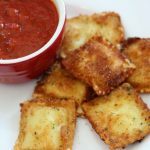 This savory, crunchy snack is perfect any time of day--whether you are at home or on the road! Melt butter in microwave safe dish. Add in parmesan cheese and ranch dressing mix. Mix together Chex cereal, bagel chips and pretzels in large bowl. Add butter mixture and mix well. Spread on cookie sheet and bake for 5 minutes, stirring well every minute. 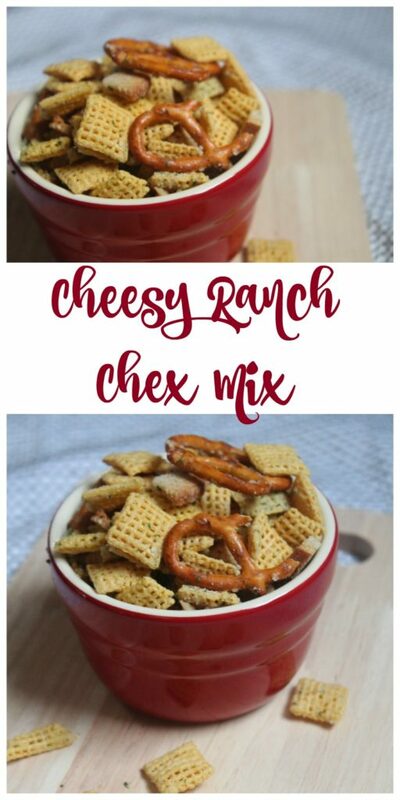 Cheesy Ranch Chex Mix is the perfect savory, crunchy snack that is good both at home or on the road. 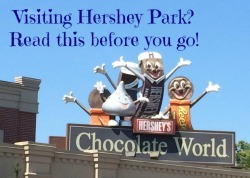 Make some today! This looks so good. Great snack!